Therapeutic horseback riding had a profound emotional impact on recovering stroke survivors involved in a Swedish study, according to researchers. University of Gothenburg researcher Petra Pohl and her colleagues have reported on the findings of interviews with 12 men and six women who participated in a stroke recovery program. The researchers, writing in the open-access journal PLOS ONE, said rehabilitation strategies in late-phase stroke recovery aimed to provide physical, social, and cognitively challenging activities. Horseback riding can be incorporated within such interventions, they said, leading to meaningful long-term improvements when applied to individuals with moderate levels of disability. They noted there was a lack of research illuminating stroke survivors’ experiences and perceptions of horseback riding in the context of multi-faceted interventions. The full study team – Pohl, Gunnel Carlsson, Lina Bunketorp Käll, Michael Nilsson and Christian Blomstrand – set out to learn more about stroke survivors’ experiences of participation in a multi-faceted group-based intervention, one part of which included horseback riding. They conducted a single face-to-face interview with each of the 18 participants in the study within four weeks of their completion of the 12-week treatment, which occurred in the late phase of stroke recovery. The interviews with the participants, aged 51 to 74, lasted between 17 and 50 minutes. The 18, who were among 123 taking part in the wider stroke recovery program, were randomly placed in either the horseback riding group, a rhythm-and-music based group, or a control group. They said four broad themes emerged from the interviews with those who undertook the horse-riding component: Transformative experiences; human-horse interaction; togetherness and belonging; and the all-in-one solution. “Interacting with the horse and peers had a profound emotional impact on the participants,” the study team reported. “The participants also reported having learned new skills, increased self-efficacy and self-esteem, and improvements in balance and gait, all of which could be transferred to everyday life. The study team concluded that a multi-faceted rehabilitation intervention that included horseback riding may provide stroke survivors in a late phase of recovery with rich pleasurable experiences that may have life-changing and profound impacts on their emotional and physical state. The horse-riding participants had described their physical and emotional closeness to the horse and the significant impact that the strength of the bond and interaction with the horse had on them. A feeling of mastery also developed as the ability to control the horse improved. The participants told of initially clinging to the horse, while at the end being able to manage the horse with ease and joy. A strong relationship between the group members developed during the intervention due to the amount of time spent together and the experiences they shared. The opportunity to meet and interact with other stroke survivors was fruitful, both during the stable-related activities and over a shared lunch. The program had included stable activities, riding lessons led by skilled and devoted instructors, and lunch or refreshments with peers and staff. It was much appreciated by the participants, according to the researchers. The social interplay and the practical activities were considered equally important, they said. Discussing their findings, the researchers said: “The intimate closeness to the horse had a profound impact on the participants by affording a multitude of new sensations, such as those arising from stroking, grooming, and sitting on the large animal. 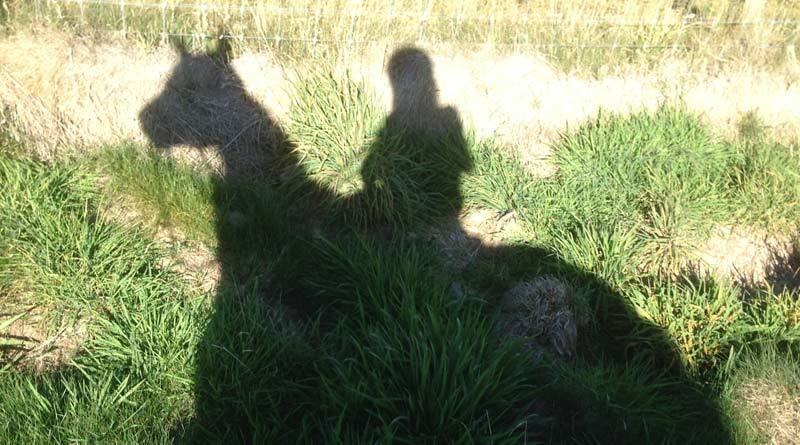 Horses, they said, also stimulated communication skills, as the relationship between rider and horse builds upon other values and demands interpersonal connections. “Horses understand and respond to communication primarily through body language, so the participants must learn to become more aware of their bodies, their body language, and expression of emotion through their bodies. “Apart from emotional boosts, the participants also described improved body functions. The authors said the findings of the study were important for shaping future rehabilitation development and delivery. “A paradigm shift has occurred within stroke rehabilitation, and it is now believed that combining activities with information from different sensory modalities facilitates post-stroke recovery process in the late phase. “The real challenge after stroke, however, is the lack of opportunity to participate in such activities. They continued: “It should be noted that the participants did not solely consist of persons who knew or believed that they would enjoy horseback riding, and the preconceived notions about horses were quite diverse among the participants. They suggested further research was warranted to explore long-term experiences, as well as assessing cost-effectiveness for providing this complex intervention in a late phase after stroke. Hi I am a FEI level 2 Instructor, 50 years teaching experience. I also teach Special needs.